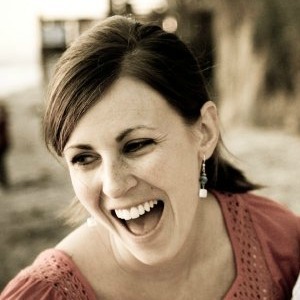 laurenwasher.com - Day 3 :: What does it mean to bless the Lord? Day 3 :: What does it mean to bless the Lord? After my fourth child was born I faced some of the most challenging days of my life. I had four children, all four years of age and under, one with special needs, and it was exhausting. I couldn’t function properly, think straight, and most days it was all I could do to make it to bedtime. 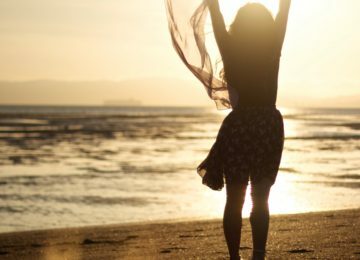 There were a handful of times during those months where I found myself face down on the floor of my bedroom, crying and praying, begging God to help me. I was desperate. And it was out of my desperation that my soul learned the value of blessing God in these moments. Not because He removed the things that made me desperate, but because He enabled me to see Him. On my face before God I recognized my need for Him, and my soul was able to bless Him. “Bless the Lord, oh my soul...” (Psalm 103:1). The word bless used here, in Hebrew is ‘barakh’. In addition to meaning ‘bless’, do you know what else it means? Does this mean that I need to fall down before the Lord in order to bless Him? Not necessarily, although there are certainly times when physically bowing and kneeling before the Lord is appropriate. For me, it was in my moments of deepest need, coming to Him in humility because I knew I needed Him. I’ve been reading through the gospel of Luke over the past few months, and one of the things that I’ve been taking special note of is people’s responses to Jesus. They all encountered the same Man, the same miracles, teachings, and outrageous claims. Some responded with anger, some fear, some wonder. Luke chapter 8 records the story of three people: a demon-possessed man, a ruler of the synagogue, and a chronically ill woman. The man possessed by demons had been living in the tombs, held captive by the power of evil. The ruler of the synagogue had a daughter who was dying. The woman had been bleeding for 12 years, seeking to be healed with no positive results. Vastly different people facing hard life issues. The interesting thing to me is that their responses to Jesus were exactly the same. Why did these three people fall down before Jesus? They fell down before Him because they recognized who Jesus was. Even the demons who were dwelling in the man among the tombs. They knew He was powerful, they knew He could handle the issues they were facing, and they demonstrated that knowledge by falling at His feet. Kneeling is an act of the body, yes, but it represents an attitude of the heart. An attitude of reverence, awe, wonder, and acknowledgement of the one to whom it kneels. It doesn’t have to happen on my knees, or on my face. My soul kneels before God when I acknowledge who He is and what He has done, and even in my darkest moments, I can bless Him because He is God. 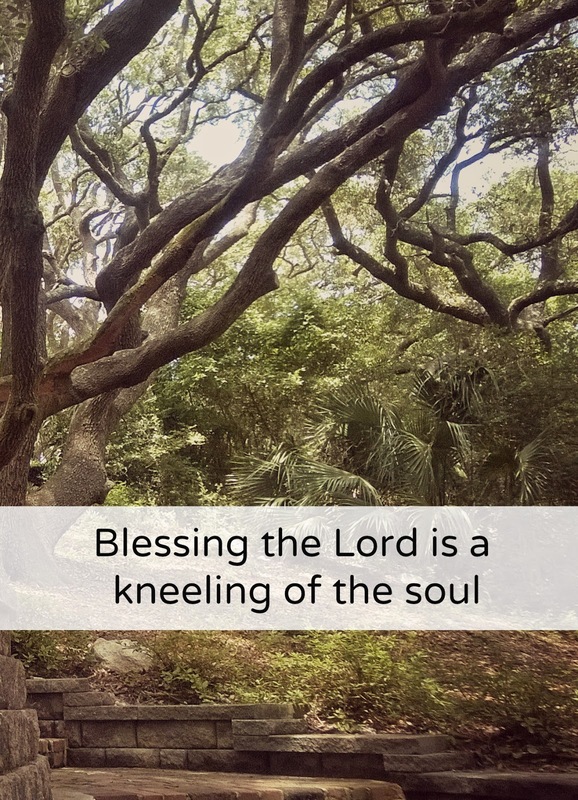 Blessing the Lord is a kneeling of the soul before an Almighty God.